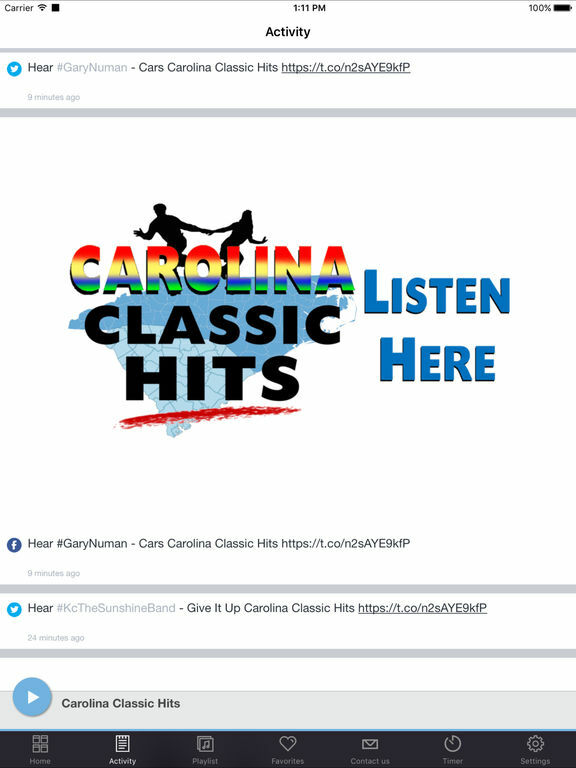 Carolina Classic Hits always plays the best Top 40 hits from the 60s, 70s and 80s. Motown, Soul, Great Rock & Roll and Carolina Beach Music, the sound born in the Carolina's and legendary from Atlantic Beach to Ocean Drive and the Myrtle Beach Pavilion. Online at www.CarolinaClassicHits.com. 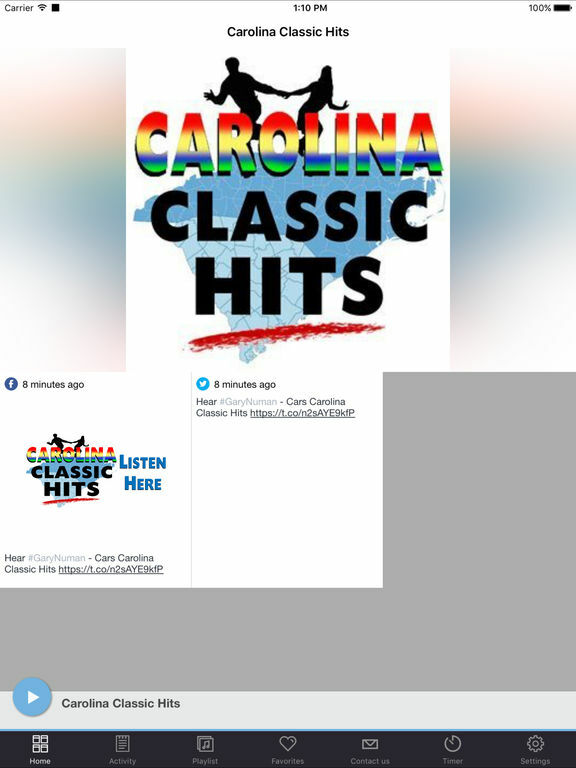 This application is the official, exclusive application for Carolina Classic Hits under an agreement between Carolina Classic Hits and Nobex Technologies.